The element I loved the most about this sandwich was the combination of flavors between the green chili and the spicy sauce. 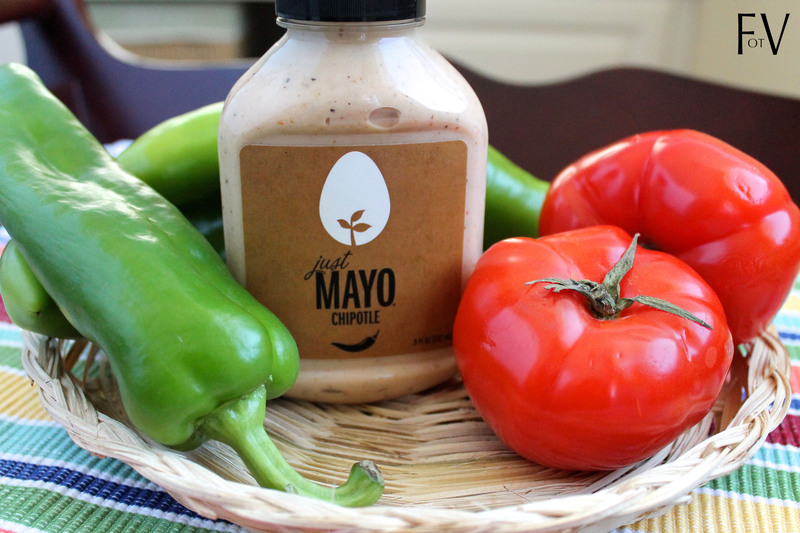 Having no clue what was in the actual sauce I figured Hampton Creek’s Chipotle Just Mayo would certainly do the trick (and I was right!). It’s been over 20 years since I’ve had a Santa Fe Chicken sandwich but the mayo seemed spot on – just enough kick to tickle your tongue. Next, I toyed with the idea of buying roasted green chilies, but the thought of plopping something out of a can and slapping it on a bun sounded thoroughly unappealing. Even though I have never roasted my own chilies in my life, I thought now would be a good time to start! For some reason the task seemed daunting to me but it was incredibly easy and fresh roasted chilies definitely kicked this sandwich up to another level – huzzah! To finish off my vegan sandwich masterpiece, I used Gardein’s Chick’n Scallopini patties and melted Go Veggie American slices on top. The Gardein patties are already seasoned and the flavor blended well with the spice. 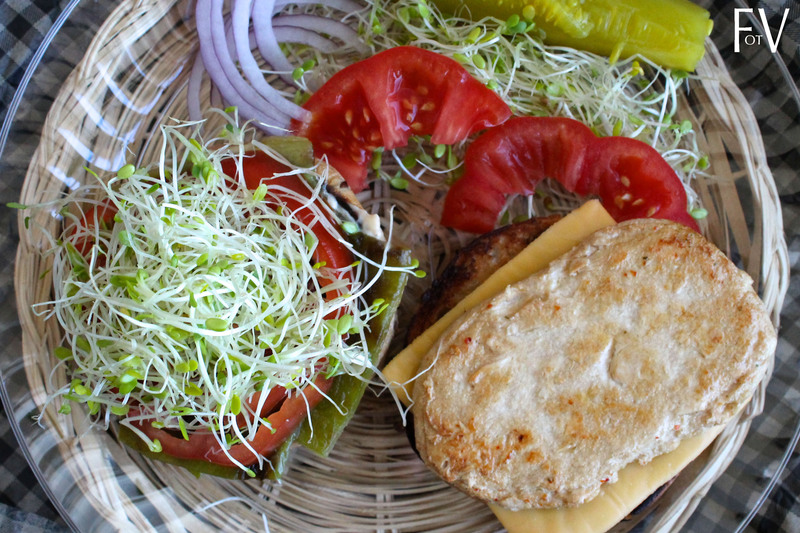 Instead of wilted iceberg lettuce (which would have made it more authentic, but come on, gross) I opted for sprouts because I really enjoy the little crunch they make and they have a fun mouth feel. 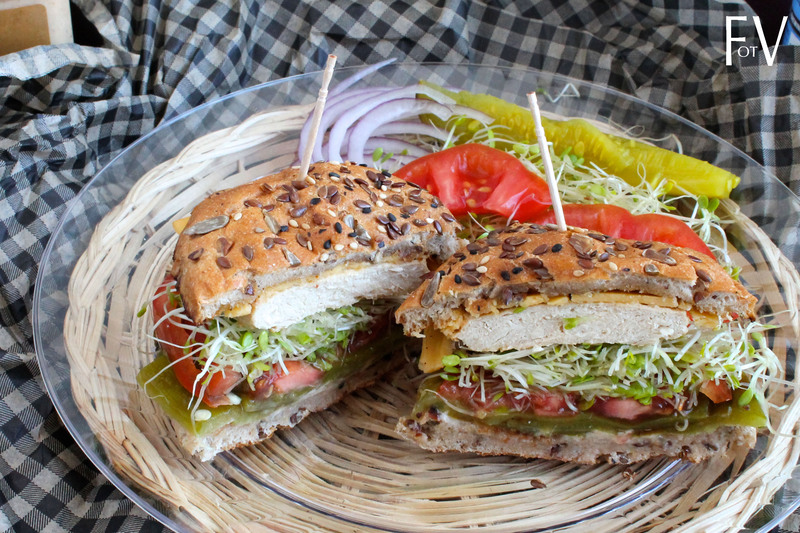 Last but not least, some thick slices of juicy tomatoes and voila – vegan Santa Fe Chicken Sandwich! So I’m not going to put a recipe below like I normally would since this is more of just assembling ingredients. It’s simple: roast your chilies (I used Anaheim) by throwing them whole on a cookie sheet and putting them under a broiler until they’re black and crisp (about 6-8 minutes on each side), then toss them into a ziplock bag while they’re still hot and seal it tight so they can steam themselves. When you’re ready to use them, peel off the charred skin, slice and remove the seeds – easy peasy!! 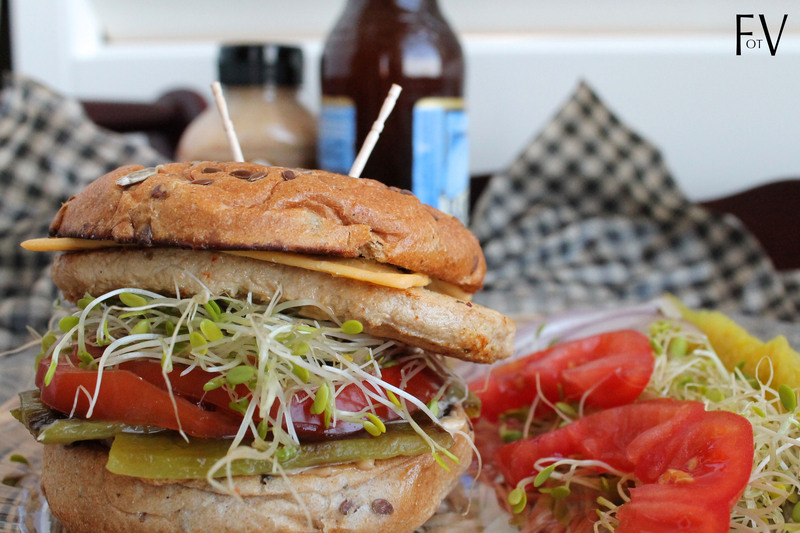 Spread the mayo on a whole wheat bun, layer on the chilies, tomato, sprouts, chick’n and cheese and you’re ready to dig in! 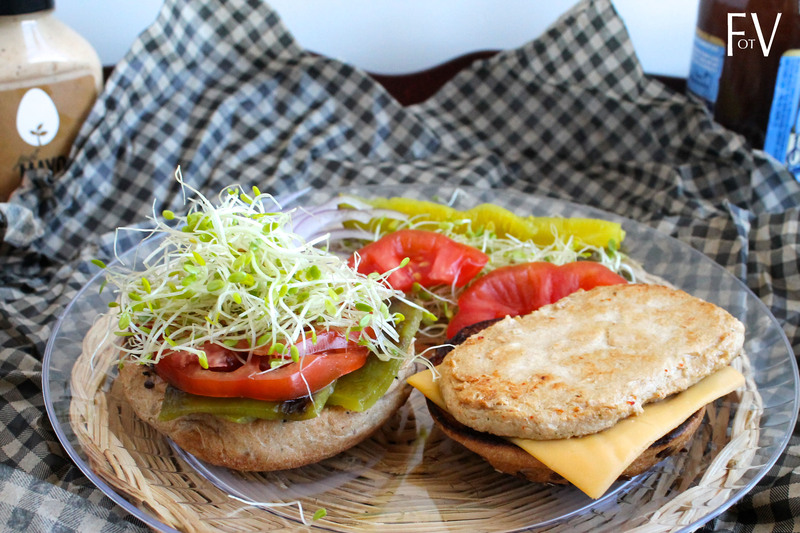 What sinful fast food would you like to see veganized? ?